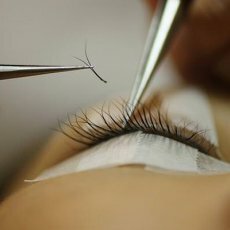 Qualified and certified eyelash extensions technician provides professional services right at the comfort of your home. My services are mostly based on mobile criteria, also known as ”outcall” or ”travelling” therapies. This takes the traditional services to a different level by using portable equipment that brings the luxury of a beauty service directly to your door. I use high quality and professional products. However, since allergic reactions are possible, there are different types of glue based on one's sensitivity. 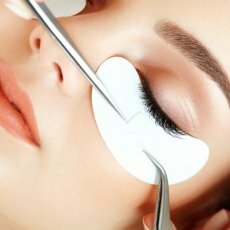 The treatment time for the initial set can last between 2 and 3 hours. 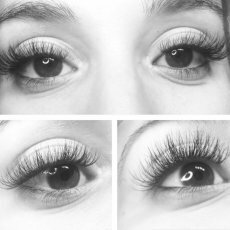 The eyelashes both feel and look natural and typically last between 3-4 weeks. 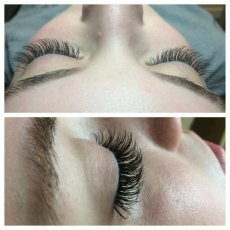 After this period the client can opt for an infill, essentially replacing lashes that have either fallen or grown out, or to remove the eyelashes. THE PRICES MIGHT DIFFER DEPENDING ON THE TRAVEL ZONES!!! 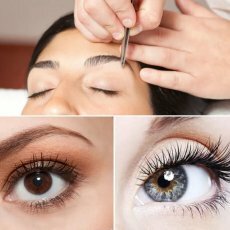 Good aftercare makes the difference between eyelash extensions that last 2 weeks and eyelash extensions that last 6 weeks. With this beauty service, being careful and paying attention is well worth it. For the first two hours after getting lash extensions done, do not get your face wet. Avoid the pool, sauna, or spa for the first 24 hours after you get your lashes done. Always avoid rubbing your eyes or pulling on your lashes. If you wear eye makeup, be extremely gentle when removing it. Only use oil-free eye makeup removers. If your lashes get tangled, use a spoolie to lightly brush them back into place. It is best to avoid mascara, but if you must, use a mascara safe for lash extensions. When you do apply mascara, only apply it to the top half of the lash, so as not to disrupt the glue. When applying moisturizer or eye cream, be careful not to let it get too close to the lash line.